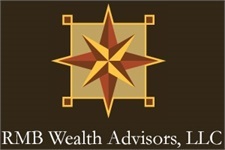 Mike is the founder of RMB Wealth Advisors, LLC, which was established in 2007 to help meet the needs of individuals and small businesses in the area. Mike works with his clients to develop plans for their current and future financial needs, taking into account risk mitigation, time horizon and tax implications. He has advised numerous clients and provided professional help in developing strategies intended to protect the insurance and financial aspects of their lives. Mike is a graduate of The College of New Jersey (formerly Trenton State College) and entered the financial services industry in 1997 after a 25 year career in retail management. Mike is the current member of the Bordentown Chapter of LeTip. Mike and his wife, Lois, reside in Hamilton and have two sons and a daughter-in-law. Mike is a member of Old York Country Club. He and his family spend as much time as possible at their vacation home in Beach Haven, NJ and enjoy their passion for golf.